There are times when I just take in all I read, feeling adding something is not necessary or I am just feeling too hopeless to post my two cents. This is not one of those times. When you read the following, know this was like a conversation I had today with a Vietnam veteran talking about coming home and being treated like a criminal. Actually it was worse than being treated like a criminal because they had an easier time finding work out of jail than a soldier did out of the military. It is also true the VFW wanted nothing to do with them, but none of the other groups wanted them on top of that. Families and friends didn't want to hear anything other than some morbid curiosity questions. We know how bad they had it but we dismiss how bad they still have it after all these years. Words hurt but actions can help remove the pain careless words create. 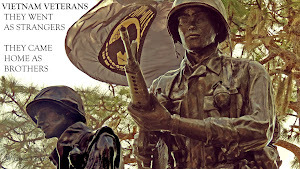 We had the chance when in the late 80's and 90's monuments went up and the Vietnam veterans were invited to participate in parades. 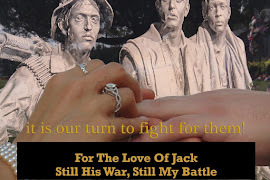 We had the chance but when they had to fight tooth and nail for everything the VA granted them, it seemed society was still trying to take away from them. This happened after the Gulf War when they were greeted with cheers, yellow ribbons on the doors of businesses and ceremonies from coast to coast. 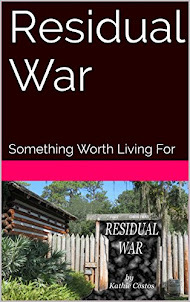 We realized more than ever how we mistreated the Vietnam veterans. We were not about to repeat the same mistakes but as for making things up to them, well, let's just say it was not the top priority of this country. Now we are repeating the same mistakes all over again. We want to do the right things for Iraq and Afghanistan veterans but we seem to be pushing them to the front of the line while Vietnam veterans are pushed back. Why can't we ever manage to get it right once and for all for all our veterans at the same time? JACKSONVILLE — After 40 years of silence, two Vietnam veterans decided to come clean about their experiences as servicemen both on and off duty and the many struggles they faced after returning home. Larry, who served in the U.S. Army during the Vietnam War, said the general mistrust of the military during the time the Vietnam War was fought caused a great deal of shame for both him and Dale. In his worst nightmares Staff Sgt. Michael Downing never imagined he would become a double-amputee while fighting in Afghanistan. But in his wildest dreams he never thought hundreds of people would pack his Middleboro garage, ask to shake his hand and give him the keys to a brand-new home. “I’m still in awe of the whole thing,” Downing said, as crowds surrounded him yesterday. Homes for Our Troops hosted a key ceremony for Downing yesterday to give him the specially adapted home they built with volunteers - too many to count, according to general contractor Dominic Falconeiri. “Probably more than half the people here I don’t even know,” said a stunned Downing. 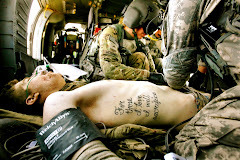 So often our soldiers carry their scars with them... whether on the inside or the outside. This weekend, a Vietnam vet is showing his scars... to help others. He is a Navy special forces veteran who was injured in 1969... after a hand grenade blew off next to his head. Today he travels around the country and the world... to speak to all kinds of audiences... and hopefully inspire them. He says after his injury, someone helped him... and he forever wants to pass on that gift of hope. More than 41,000 U.S. servicemen and women have been wounded in Iraq and Afghanistan. Wyatt Andrews reports that for some of these soldiers job training is tough to come by. After eight years of war, you might think the system for delivering benefits to America's most disabled war veterans would be well organized, efficient and as caring as possible. It's not. A two-month CBS News investigation of the Department of Veteran's Affairs' (VA) most important benefit program helping disabled vets return to work, a benefit most vets call "Voc Rehab," revealed a program which is beset with contracting and staffing problems -- which often throws needless roadblocks in front of eligible veterans, and which either tolerates or can't prevent wrongful benefit denials for some of the nation's most deserving former warriors. And because Voc Rehab benefits are only available to disabled veterans, many of whom have already waited years, but finally received a VA disability rating, a wrongful denial coming from Voc Rehab causes an added level of bitterness and sense of betrayal. • Two time Army veteran Jeremy Smith (he joined, left and rejoined after 9/11) is a former Army medic whose spinal cord was injured by a grenade in Afghanistan, as Jeremy raced to treat his fellow soldiers under fire. Jeremy, who is wheelchair bound, says he was turned away by a VA benefits counselor, who falsely claimed Jeremy wasn't disabled enough to qualify. 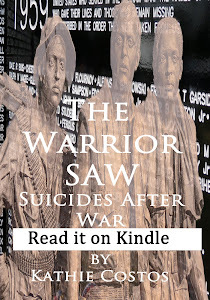 • Former Marine Sergeant Kenny Lyon's rescue from a battlefield in Iraq and subsequent recovery from the loss of much of his left leg was the subject of a profile on "60 Minutes." Kenny says on his first day of classes at Gettysburg College in Pennsylvania last year, a VA counselor called to deny the Voc Rehab tuition benefits Kenny long thought had been approved. On his first day of class, in other words, he was being asked to turn around and find another college. • Former Army Lt. Greg Modica was wrongly told by his Voc Rehab counselor the VA would not allow disabled vets to attend flight school. After Greg presented notes of this conversation to the office of Arkansas Rep. Mike Ross (D), the congressman demanded an accounting. Within days, the VA's Little Rock office quickly changed gears, approved Greg for flight school and transferred his case file to a higher level counselor. But during that first conversation, the Little Rock counselor, who is white, told Greg, who is African American, that while flight school was out of the question, Greg could always take his plea for help to Oprah. • Former Marine Cpl. Brandon Frazier is a veteran of the sustained 2004 Marine assault in Fallujah. Brandon has enough hearing loss and PTSD to meet Voc Rehab's disability requirements, but was falsely told by a VA counselor that Voc Rehab benefits do not cover college level pre law. They do. And since the time of Brandon's improper denial, he's borrowed $40,000 to pay for college himself. Most people can't wait for the end of the day when they hop into bed to get some much needed rest. After a long day of dealing with doing everything necessary to survive along with family, friends, coworkers and total strangers with attitude problems, it is a safe place where we can all focus on ourselves drifting off to sleep. Clean sheets, cool to the touch, perfect pillows to rest our heads on, cuddly PJs and all is ready to allow our dreams to take us away. Our minds take us to where we want to be in life. We are free to say what we wanted to say to the jerk after we ended up hurt. We can even envision karma taking revenge for our sake. All is well with the world. There are others fearing the end of the day when they have to yet again reawaken what haunts them. Freddie, on his best day, couldn't scar the crap out of anyone as much as living after combat can. Even for the toughest, self-centered gung-ho type, they cannot escape all of it. They have just managed to convince themselves that all that matters is them in this world. 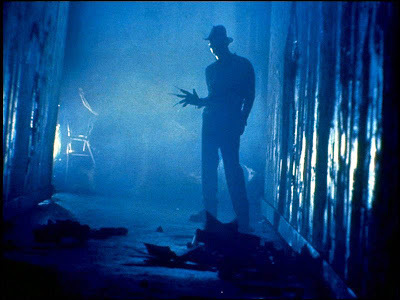 For the rest, there are nightmares on every street. Going to sleep is not something they want to face because they know how the night will end once more. They will fall asleep sooner or later but then comes the war all over again. Images so real they can feel as if they just entered into a portal. They can hear the sounds all over again in stereo, just as when it happened for real. They can feel heat on their skin. They can smell it. They can taste it. Their hearts race. Their muscles tighten on the adrenaline rush. They know when the nightmare comes, the time travel begins and the ghosts that sleep during the day have awakened. During the day when the ghosts wake up from a nap, they are able to come out of the flashback with other people and things going on around them. While the flashbacks operate under the same controls, they are not alone as they are in their dreams and not as vulnerable to being attacked. Alone in the night in their dreams, they see their friends and hear their screams. They hear the screams of strangers and of their enemies. They can hear the gunfire, smell the power and see the blood. What is happening in their dreams is often more violent than what they experienced because in their dreams, they are the target of death. We can give them all the pills available to help them to go to sleep but their minds fight against them knowing full well what cannot be controlled when the ghosts take over. Their bodies want to surrender seeking rest but in order to obtain it, the price their minds pay is a high one. 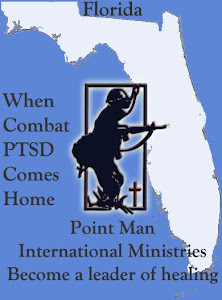 As bad as it is for the veteran back in the "normal" world of their communities and homes, there are others still facing the same horrors of combat 24-7. They are the untold numbers of troops redeployed with PTSD and an arsenal of medications to help them sleep, help them wake up and help them function as a machine. 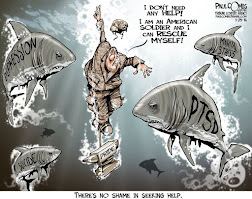 These PTSD forces do not rest for the entire deployment. They are on constant high alert and dread the night. Exhaustion takes over and it all begins again. No one knows how many die in their sleep attributed to "natural causes" but occur because of un-natural revenge of PTSD. There have been no studies counting the number of PTSD medicated dying in their sleep but there have been many reports of them surfacing when families talk about the loss. While physicians have disclosed a connection between heart related problems and PTSD, the connection has not been fully investigated. Once home, they then have to cope with the flashbacks, nightmares and prospect of being redeployed. They have to cope with the way they act out their fight against what haunts them as their families fall apart, they pull away from them at the same time they need them and they do whatever they can to hide what they cannot control. For Vietnam veterans, the few who escaped full blown PTSD, they still run from ghosts of their past. For others they are still waiting for the day when they "get over it" and they try everything possible to obtain it. The end of nightmares come when the veteran is in control as a person. This takes great effort but with the right kind of help, they can lessen the brute force of the nightmare. They can heal during the day and in doing so, they can put Freddie back into the horror movie category instead of the living hell he awakens. Giving them medication only but not addressing the cause of PTSD weakens them and short changes them. The practice of medicating the warrior without healing their spirit has to end. Without addressing the fact PTSD is an attack against the emotions, they will not heal, they will not deal, they will just find it all masked. This will keep coming back until they are helped to heal. Why should this be addressed? Because behind the news, advocates know we are already at the point of no return. We talk about the numbers of OIF and OEF veterans in the hundreds of thousands, fast approaching the million mark but that is nothing new. We've been warning about this since the first set of boots hit Afghanistan sand and then began to scream even louder when they were being sent to Iraq. Troops were enlisted. The contractors were drying the ink on their contracts. Congress was approving war funds. Everyone was gearing up except the support system to take care of the warriors themselves. Less doctors and nurses were working for the VA than after the Gulf War. Was this anyway for a "grateful nation" that "supports the troops" to run a war? The Citizens for Responsibility and Ethics in Washington (CREW) filed a lawsuit against the Department of Veteran Affairs (VA) after the VA admitted to destroying documents responding to CREW's May 2008 Freedom of Information (FOIA) request. CREW's FOIA request called for documents related to the VA's policy of underdiagnosing post-traumatic stress disorder (PTSD). CREW learned of the underdiagnosing of PTSD after learning of an email in which VA employee Norma Perez discussed the policy. According to CREW, the VA has resisted providing any documents; it stated that the VA claimed it had produced everything it had, even though it hasn't turned over the Perez email or any other records referring to the email. Therefore, CREW has argued that the VA's search for documents has been inadequate, and the VA has argued that it destroyed in 2008 many emails and backup tapes, which included the Perez email. The VA has contended that it cannot produce any emails before December 9, 2008. 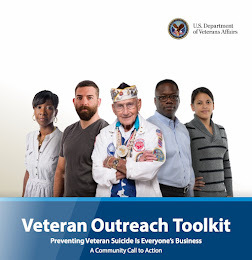 Anne Weismann, CREW's chief counsel, said, "There appears to be - and I don't know this for certain - a growing recognition on the part of the VA that there has been an under-diagnosis [of PTSD] and there seems to be a growing a recognition that they have a problem with high suicide rates. Obviously recognizing there is a problem is the first step toward curing it, but that's why the actions of the VA here in destroying emails is so disturbing." The military has agreed to expedite these reviews in response to a class action lawsuit filed by seven combat veterans, who allege that the military illegally denied benefits to those discharged because of PTSD over a six-year period that ended October 14, 2008. 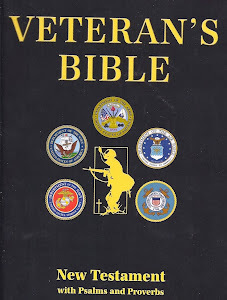 "It is clear from these news reports that during the period 2002 to 2008 - a period covered by CREW's FOIA request - there was a widespread under-diagnosis of PTSD among U.S. military service personnel affecting thousands of discharged veterans," the brief stated. NEW YORK (CNNMoney.com) -- Depending on extended unemployment benefits to see you through the Great Recession? You'd better not: The Senate failed to push back the Feb. 28 deadline to apply for this safety net. Lawmakers repeatedly tried to approve a 30-day extension this week, but each time, Sen. Jim Bunning, R-Ky., prevented the $10 billion measure from passing, saying it needs to be paid for first. All users of unclassified computers in the .mil domain now will be allowed to access social media sites such as Facebook and Twitter — subject to local control if bandwidth demand or Web integrity become issues. The announcement reverses a nearly three-year ban on access to bandwidth-heavy sites such as MySpace, and the Marine Corps’ August ban on access to social network sites, the Pentagon said Friday. The open-access policy will rely largely on the responsible use by troops, much as they practice operational security in other means of communication, such as telephone conversations and letters. It is also a reflection of “increased security measures” the Defense Department has taken, said Bryan Whitman, a Pentagon spokesman. TACOMA -- A teacher was shot and killed at Birney Elementary School early Friday by a man who police said was "infatuated with her," and the suspect was later killed in a shootout with police. The suspect was arrested a week ago for violating an order to keep away from the teacher. He made bail Monday. Witnesses said the teacher was shot during a confrontation in the school parking lot at 1202 S. 76th Street about 7:30 a.m., which was before students arrived for the day. The victim's father, who arrived at the school after the shooting, identified her as 30-year-old Jennifer Paulson. "We want you to know she was a very kind, merciful loving person," Ken Paulson said. "That's probably why she was a special-ed teacher because she loved so much. earned the very best that this nation as to offer." construction of a three-story, 84,000-square foot "polytrauma center." explosives in Iraq and Afghanistan. emotional, financial and community assistance. Veteran homelessness over the next five years. updates on relevant information and events. Resources are added daily. Visit the site at www.nationalresourcedirectory.gov . John Wylie Needham, an Orange County man who was a decorated Iraq combat veteran and was later charged with the murder of his girlfriend, was found dead last week in Arizona, authorities said Thursday. Needham, 26, was free on $1-million bail posted by his family while awaiting trial. His body was found in Pima, Ariz., about 150 miles southeast of Phoenix, the Orange County district attorney’s office said. Authorities there are investigating the cause of his death. He was charged in the September 2008 slaying of 19-year-old Jacqwelyn Joann Villagomez. She was found severely beaten at Needham’s San Clemente condo. Those who knew Needham described him as easygoing surfer who liked to paint and play the guitar before he went to Iraq. Family members said they knew he was struggling since returning home, but didn’t foresee him turning violent. 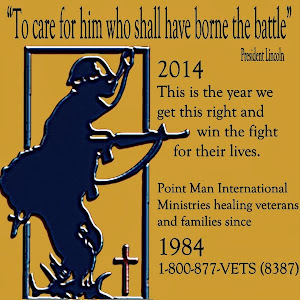 Here is a timeline describing our successful advocacy for Gulf War veterans that resulted in a new decision by VA to assist Gulf War veterans. On September 24, 2008, VCS wrote VA Secretary James Peake about how VA leaders had improperly denied many Gulf War veterans' disability compensation claims in the early 2000s by failing to tell them about new laws expanding benefits. In November 2008, VCS led a national effort to publicize the findings of VA's Research Advisory Committee on Gulf War Veterans' Illness. In January 2009, VCS urged Congress to investigate how VA was handling the issue of Gulf War illness. In May 2009, VCS testified before Congress about the needs and concerns of Gulf War veterans who remain ill due to toxic exposures such as pesticides, oil well fire pollution, experimental pills, experimental anthrax vaccines, depleted uranium, and other poisons. 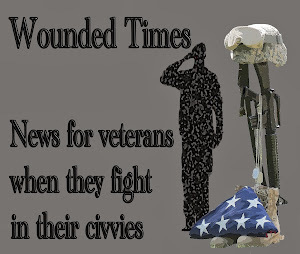 Yesterday morning, VCS posted our testimony for a hearing about Gulf War veterans originally scheduled for yesterday, but postponed until a date to be determined in the next few months. Then this morning, a much-needed victory for veterans appeared on the horizon. VA Secretary Eric Shinseki provided an exclusive interview to the Associated Press promising to review Gulf War veterans' disability claims. The number of potential veterans impacted by VA's decision is at least 15,000, and the number could go higher depending on the scope of VA's review. Last week, the number-crunching folks at the Pew Center released a report titled "Religion Among the Millennials." It's part of an ongoing analysis of the generation of young adults between 18 and 29 years old. "Fewer young adults belong to any particular faith than older people do today. They also are less likely to be affiliated than their parents' and grandparents' generations were when they were young. Fully one-in-four members of the Millennial generation -- so called because they were born after 1980 and began to come of age around the year 2000 -- are unaffiliated with any particular faith. Indeed, Millennials are significantly more unaffiliated than Generation Xers were at a comparable point in their life cycle (20 percent in the late 1990s) and twice as unaffiliated as Baby Boomers were as young adults (13 percent in the late 1970s)." FRUITPORT TOWNSHIP, Mich. — When disabled U.S. Army veteran Zaneta Adams arrived at Sears in the Lakes Mall, she thought she was going to be participating in a customer survey to help the store gauge consumer tastes. What the North Muskegon resident found Wednesday was something entirely unexpected — a free Kenmore washer and dryer paid for by employees from eight of Sears' Michigan stores. Employees from the stores pooled together their personal money and conducted fundraisers to purchase the appliances in honor of Adams’ military service. "I wish my children were here," said Adams, a 32-year-old mother of six who broke her back at Fort Stewart, Ga. in 2005 when she fell off a 10-foot truck. "It's probably not going to hit me ‘til I get home." The nation’s largest organization of combat veterans is demanding changes in the $15 billion jobs bill that passed the Senate on Wednesday because veterans were left out of a package of tax credits and highway projects aimed at increasing employment. “Despite having more than 1.1 million unemployed veterans, the 60-page package failed to mention ‘veteran’ or ‘veterans’ even once,” said Justin Brown, a legislative associate with the Veterans of Foreign Wars. Brown was referring to HR 2847, the Hiring Incentive to Restore Employment Act, or HIRE Act, that passed the Senate on Wednesday by a 70-28 vote and is pending before the House. Fort Bragg, N.C. — The FBI on Thursday charged a South Carolina woman with killing her soldier daughter on Fort Bragg late Monday, according to federal court documents. Autumn Michelle Shannon, 32, was found dead in her home, at 147 S. Dougherty Drive, on post after a neighbor called military police. (CNN) -- Whale shows at SeaWorld were canceled Thursday, and officials were re-evaluating safety procedures a day after a 12,000 pound killer whale grabbed a trainer's ponytail, dragged her under water and killed her in front of shocked onlookers at Shamu Stadium. Dawn Brancheau, 40, was "pulled underwater for an extended period of time," by the whale, Chuck Tompkins, SeaWorld's curator of zoological operations, told CNN's "American Morning." He said he had no further information on the exact cause of Brancheau's death, citing an ongoing investigation. The incident occurred about 2 p.m. Wednesday. Tompkins said the whale, named Tillikum, had just finished a session with Brancheau, who was standing by the side of his pool and leaning over the whale, rubbing his head. "She had a long ponytail that brushed in front of her and apparently got in front of his nose," Tompkins said. "He probably felt it." Tillikum grabbed the ponytail and pulled Brancheau into the water, he said. Earlier accounts varied on how Brancheau ended up in the tank. Veterans for Common Sense was supposed to be heard but the hearing has been moved to April. After all, the Gulf War veterans, along with all other veterans have waited all this time for congress to really honor them, what's a couple of months more? February 25, 2010 - Veterans for Common Sense thanks Chairman Mitchell, Ranking Member Roe, and members of the Subcommittee for inviting us to testify today. I am here wearing two hats. I am here representing Veterans for Common Sense, a non-profit advocacy organization. VCS is here in a spirit of cooperation to offer our seasoned advice for improving VA policies for our nation’s 700,000 Gulf War veterans. I am also here as a Gulf War veteran who remains ill due to wartime toxic exposures. I have worked on this issue since my return from Desert Storm. Veterans want to know why we are ill, how we can get treatment, and who will pay for our treatment. Today, VCS presents our written list of 16 detailed policy goals to Congress for specific actions by Congress and the Obama Administration. We ask for our full written statement to be made part of the record. Our goals are well thought-out and reasonable. Most of our goals ask VA to do what Congress already ordered VA to do many years ago. We would also like to thank VA Secretary Eric Shinseki for naming Gulf War veteran and VA Chief of Staff John Gingrich to lead VA’s new Gulf War Task Force. We look forward to seeing the details of the Task Force report. We have not seen it. At this point, we have more questions than answers. 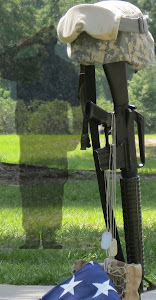 Mr. Chairman, Gulf War veterans are through with empty gestures from VA for the past 19 years. Repeatedly during the 1990s, VA leaders promised us reform, and never delivered. In 2002, VA Deputy Secretary Leo MacKay apologized for VA’s shameful treatment of Gulf War veterans and promised reform. However, behind the scenes, from 1991 through the present, VA bureaucrats scuttled our chances for healthcare and benefits. 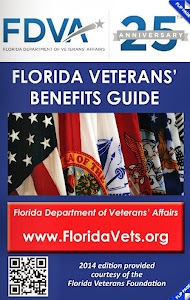 VCS asks VA to use objective and qualified staff for any new VA effort to assist us. Let us be clear about today’s expectations: We are willing to work with VA and immediately begin implementing pragmatic solutions. 1. Will VA Secretary Eric Shinseki publicly confirm that 25 percent of our Gulf War veterans – as many as 175,000 – still suffer from chronic multisymptom illness likely due to toxic exposures? Will the Secretary hold accountable those who blocked or disparaged research, treatment, and benefits? 2. Will VA amend Presidential Review Directive 5? Will our government declare Gulf War illness is a serious public health issue and a long-term cost of war worthy of prompt and high-quality research, treatment, and benefits? 3. Will VA name a specific leader and will VA publicize a timeline for the full implementation of all VA Gulf War Task Force goals? 4. Will Congress fund, and will VA create, a centralized VA office for Gulf War veterans to coordinate implementation of VA policy, training, research, benefits, and outreach? 5. Will Congress fund, and will VA create, a Gulf War advocacy panel? 6. Will Congress act to help VA restore Dr. Robert Haley’s vital research, mandated by Congress, at the University of Texas Southwestern Medical Center? In a related matter, when will VA investigate the handful of VA employees that VA’s IG concluded had undermined Dr. Haley’s important research? When will VA responded to our FOIA requests about those VA employees? 7. Will Congress urge VA officials to order the use of newer, more sensitive depleted uranium exposure tests as recommended by the Institute of Medicine and sought by Dr. Randall Parrish and by Dr. Haley? Will VA expand the population of veterans participating in DU research sought by Dr. Haley and IOM? If VA does not use the Best Available Current Technology, then VA stands accused of intentionally undermining scientific research and harming veterans. 8. Will VA retrain all VHA medical professionals about the harmful impact of toxic exposures on our veterans? Similarly, will VA retrain all VBA staff about the intent and application of Gulf War benefit laws? 9. Will VBA pay retroactive benefits to the 15,000 Gulf War veterans improperly denied benefits by VBA in 2001 for Fibromyalgia, Chronic Fatigue, and Irritable Bowel Syndrome? VBA leaders may have broken the law by failing to advise veterans about these benefits; the loss of benefits also means the veterans may have been improperly denied essential medical care. Gulf War veterans should not have to continue waiting for VA to act. We are tired of what we call “death by bureaucracy,” where we wait endlessly for research, treatment, and benefits. After nearly 20 years of delays and denials, today represents a rare opportunity for VA leaders to implement a set of reasonable, progressive, and pragmatic policies that address our needs for research, treatment, and benefits. Our veterans are dying, the time for delays is over, and the time for action is now. America’s veterans are watching this hearing. They want Congress to press VA leaders to help Gulf War veterans and quickly address two more new emerging public health concerns: Iraq’s toxic burn pits and Camp Lejeune’s poisoned water. We strongly urge Congress to demand action from VA to address our concerns today. We also thank Chairman Filner for his outstanding leadership and advocacy since 1993. Friends and family members say Matthew Cooke is a man of few words but extraordinary action. He was shot five times during the Fort Hood shooting in November, while saving the life of his fellow comrade. Leon Matthews, a childhood friend of Cooke, said he's always been that way. "He was always generous, selfless humble, said Matthews, of Harpursville, NY. To honor his heroic actions, a benefit was held at the American Legion Post 183 in Sidney to raise money for Cooke. "This benefit has really raised his spirits," said Larry Halbert, one of the event organizers. I don't like chain mails especially the ones that claim if you pass it on, you will receive money in the "next few days" or promise you anything at all. This one touched my heart because it speaks about how simple, everyday people can do extraordinary things. down the alley and it's awful cold in there for tonight. John 3:16, and they will let you in." "John 3:16." The lady said, "Come on in, Son." Later she came back and asked him "Are you hungry ? " days, and I guess I could stand a little bit of food,"
was last night when the policeman told me to use it,"
Jesus would agree to do such a thing. every angel in heaven as they watched Jesus suffer and die. I don't understand the intense love for ME that kept Jesus on the cross till the end. I don't understand it, but it sure does make life worth living! If you aren't ashamed to do this, please follow the directions . of you before my Father. He has done for you, send this on. Take 60 seconds & give this a shot ! Let's just see if Satan stops this one. he or she may be needing this day !" 2) Then send it on to ten other people. and you caused a multitude of people to pray to God. Pass this on only if you mean it. This is not a new problem but it is a growing one. If the VA bills you and you do not pay, or the insurance does not pay, they can take payment from your claim or if you are working, take it from your tax refund. Until a claim is approved, they bill for care so even if you know the wound was caused by service, you may have to pay for it until the VA approves your claim. What a mess! More aggressive billing of private insurers for health care received at veterans hospitals and clinics may be a way to cut costs — but it’s also fraught with errors, a House subcommittee was warned Tuesday. According to 2011 budget documents, the Veterans Affairs Department collected $2.7 billion from private insurers or veterans in 2009 and expects to collect $3.3 billion in 2011 and $3.6 billion in 2012. The problem, he said, is that many veterans pay the charges. The association “believes that many veterans are not aware of these mistakes and simply submit full payment to VA when a billing statement arrives at their home,” he said. TAMPA - It started with a headache and a painful sensitivity to light. Next was a 105-degree fever. Then it got worse for U.S. Army Warrant Officer Christopher Lust, who was in Haiti three weeks ago aiding relief efforts when he contracted a rare bacterial infection that also caused him to tremble violently and vomit blood. "Imagine having a fever and cold shakes," Lust said from his room at the James A. Haley Veterans Hospital in Tampa. "But it was 50 to 60 times worse. It was like shaking in minus 15-degree weather." What happened to Lust highlights a concern shared by government, military and health officials: the spread of contagious diseases in the aftermath of natural disasters. Since the Jan. 12 quake, with thousands of survivors living in tent cities without proper sanitation, the risk of viral or bacterial infections is high, according to the Centers for Disease Control and Prevention. A handful of soldiers and military personnel who had deployed to Haiti are being treated for malaria, said Jose Ruiz, spokesman for U.S. Southern Command, a joint military operation based in Miami. What struck Lust is known as leptospirosis, a bacterial disease caused by exposure to water contaminated with animal urine. It is rarely fatal, but if untreated, the infection can cause kidney damage, inflammation of the brain and liver failure. Lt. Col. Greg Harbin is a survivor after 8 deployments. Yes, you read that right. He's a survivor. That is the word that really should be used when talking about them after the multiple traumas they are exposed to. They are not victims of them but they are victims of what we fail to do in response. While across the nation regular civilians and emergency responders we count on everyday have crisis teams respond to the events that make the news, the troops are exposed over and over and over again but it was assumed they were "trained" to handle all of them. The military was the last to figure out that no matter how well they are trained, how tough they are, how courageous they are, there is no way possible to prevent them from being human. When they come home they need people able to talk to them along the lines of the training they received to do their jobs in the first place. They cannot be treated the same way a survivor of a tornado is treated. Talking to them like regular civilians does not work because they have been trained/conditioned to respond to a different way of life. I redeploy them and send them on a mission to heal. I give them the weapons to use against this enemy. Instead of physically drilling them to push their bodies to the limits, I take them the other way and get their drilling to push their bodies to calm down. We cannot dismiss the fact that they have been trained unlike anyone else any more than we can dismiss the fact that while they may have one traumatic experience eating away at them, there are more likely than not, many events behind the obvious one. If you treat them you better know them and consider all the aspects of them. What were they like before they entered into the military is just as important as what they became sitting in your office. Most were compassionate, the first one to rush to help someone in need. 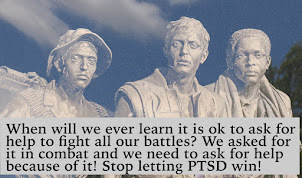 This is why they ended up with PTSD from combat experiences. We know PTSD is a wound to the emotions and the emotional part of the brain is where the soul lives. If you ignore the spiritual healing while medicating them, you end up with a medicated veteran existing instead of living again. You turn them into victims instead of survivors. You have to acknowledge what makes them so different in the first place that they were willing to risk their lives for the sake of others and build on your therapy from there. WASHINGTON: With a commitment to taking care of Airmen and their families, Air Force officials said they will maintain a focus on the prevention, mitigation and treatment of deployment-related post-traumatic stress disorder. Air Force officials use a three-pronged approach to promote psychological health and resiliency in its Airmen, said Col. James Favret, the Air Force Medical Support Agency director of psychological health. "Through psychological training, screening and intervention, we will continue to reinforce our commitment to our Airmen's total psychological health, collectively and individually," Colonel Favret said. Several months after he returned from a deployment, Lt. Col. Greg Harbin said he couldn't wait to get back downrange, even as his headaches set in. Despite six deployments to Iraq and two to Afghanistan between 2003 and 2008, the pangs of guilt became stronger than any physical pain, he said. "I wanted to be back next to my fellow warfighters," said the Air Force District of Washington air, space and information operations director of operations. "I wanted to get back to the war." In 2004, Colonel Harbin sustained injuries from an improvised explosive device, and a little more than a year later suffered still more injuries from a rocket-propelled grenade. By May 2007, he was back in harm's way on a dismounted patrol with NATO. As he tried to rescue an Afghan child from crossfire, the colonel suffered a gunshot wound to the back. "Each time you get hit, you feel like a boxer ... just punch drunk," Colonel Harbin said. "In neither incident did I think I was hurt that badly." By the time Colonel Harbin arrived for moderate post-traumatic stress disorder treatment at Fort Jackson, S.C., he said he continued to downplay his ever-intensifying symptoms so that he could resume deploying. But with a traumatic brain injury, left ear hearing loss and total loss of his left eye, Colonel Harbin could no longer deny the vice grip PTSD had on his life as a result of the injuries. Once a four-ship flight lead at the 14th Flying Training Wing at Columbus, Miss., Colonel Harbin also trained students and flew air shows on various weekends between deployments. "I was living the dream and on top of the world," the colonel said. "I had confidence and skill then all of a sudden I couldn't do those things anymore." The downward spiral led to the deterioration of his finances, personal and social life, as he began to recede from friends and eventually parted ways with his girlfriend. Though he described himself as "still in recovery," Colonel Harbin credited a combination of solid medical care, operational support and the Air Force Warrior and Survivor Care Program for sparking the physical and psychological recovery process. Undeterred by a stutter and occasional lapses in his thoughts, Colonel Harbin is a frequent speaker for the Wounded Warrior Project, an advocacy and outreach program for severely injured servicemembers. He also works with the Department of Defense and Veteran's Affairs as a voice for thousands of servicemembers who return home in need of psychological and physical rehabilitation. Colonel Harbin said in addition to relying on co-workers, supervisors, friends and family for support, wounded warriors themselves have a vital role in seeking help. Los Angeles, CA (PRWEB) February 25, 2010 -- The Evan Ashcraft Foundation, a Los Angeles-based nonprofit organization, is hosting a “Casino Night” fundraiser to benefit veterans with post-traumatic stress disorder (PTSD). The Foundation serves military personnel returning from Iraq and Afghanistan, and their families. 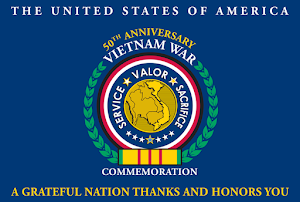 The event is symbolically scheduled for Memorial Day weekend, a time when Americans honor those who have served, or continue to serve, for the United States military. The Evan Ashcraft Foundation, a 501(c)(3) public charity, helps soldiers returning from Iraq and Afghanistan adjust to civilian life.The Evan Ashcraft Foundation’s Casino Night will occur on Saturday, May 29, from 6:00-10:00 p.m. Taking place at the Woodland Hills Country Club in the San Fernando Valley, the special event will feature a silent auction, raffle prizes, casino gaming tables, and food. Ticket prices are $50.00 per person, or $95.00 per couple. (CNN) -- A killer whale killed a trainer Wednesday afternoon at SeaWorld in Orlando, Florida, a spokesman for the Orange County Fire Department said. Victoria Biniak told CNN affiliate WKMG that she saw the deadly incident from a viewing area. Michael de Yoanna first met John Needham when the troubled soldier stepped off a plane near Fort Carson, Colo., in November 2007. De Yoanna didn't know it at the time, but a year later Needham would be part of a lengthy Salon series about soldiers involved in murders or suicides as the Army neglected their psychological war wounds. Reporters de Yoanna and Mark Benjamin documented Needham’s tale as part of the “Coming Home” series, after Needham was arrested for allegedly beating his girlfriend to death in late 2008. Now Needham is gone too. He died on Saturday, Feb. 20, about 10 days after back surgery at a Veteran's Affairs hospital in Tucson, Ariz. The circumstances surrounding Needham’s death are unclear. According to his father, Mike Needham, an older brother discovered John Needham slumped over his bed at his mother’s house in Arizona, his face blue. 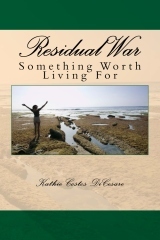 Efforts by his brother, and then rescuers, to revive him were unsuccessful. Ernie Ray Lester says he made his peace with God. Now he has the Tennessee Bureau of Investigation to worry about. "I didn't do anything but go to churches and sing and say some things I shouldn't have," Lester said Tuesday. "It's a wonder God didn't just strike me dead for going around and saying what I did. I've asked for counseling. I've asked for help. I've told my mom I'm sorry. 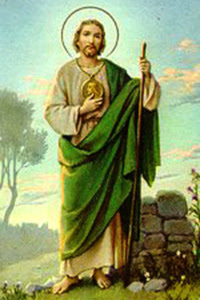 I've asked forgiveness for the things I've done, and my father above has forgiven me." Lester, 52, spent the past few years visiting churches around East Tennessee with his testimony of how he turned to God after a cold welcome home from service in Vietnam and more than a decade collecting drug debts for motorcycle gangs. He didn't tell those congregations about a misdemeanor record, a bankruptcy or that he graduated high school three years after the U.S. began pulling out of Vietnam. SOUTH HADLEY, Mass. -- Hundreds of parents met in South Hadley on Tuesday night as an anti-bullying task force mobilized weeks after a case of bullying so extreme it drove a 15-year-old girl to end her life. Phoebe Prince, a freshman at South Hadley High School, died Jan. 14., and two students accused of bullying the 15-year-old have been expelled. A police investigation could also lead to criminal charges. "These students' lives have also been dramatically altered, and they won't be graduating from South Hadley High School," Smith said of the students who were expelled. Prince is thought to have committed suicide after allegedly enduring abuse online and in school from female classmates who were upset that Prince, 15, a sophomore who had recently moved to the U.S. from Ireland, was dating a senior football player. As Veterans Affairs Department officials laid out a plan for the Institute of Medicine to look for links between certain symptoms and burn-pit exposure, they also quizzed Defense Department scientists about what they’ve already done in that regard. At the first meeting of the IOM’s Committee on the Long-Term Health Consequences of Exposure to Burn Pits in Iraq and Afghanistan, Cassano asked the panel to help VA determine if the symptoms of several sick service members could be linked to exposure to smoke from open-air burn pits in the war zones. 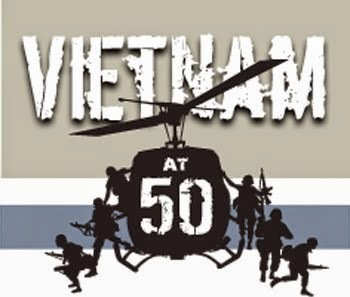 If so, Congress could create a law saying veterans potentially connected could automatically receive a “presumption of service connection” for those ailments, similar to a law that assumes service connection for Vietnam Veterans whose diseases could have come from exposure to the defoliant Agent Orange in Vietnam. FORT BRAGG (WTVD) -- Fort Bragg officials are investigating the death of a soldier as a homicide. The 32-year-old woman was found Monday night in her quarters on post. Authorities say a neighbor found the woman around 10 p.m.
Military officials have not released the soldier's name. However, ABC11 Eyewitness News has learned the soldier's death is being treated as a murder case. Under a bridge nearby lay Kelly Hughes, a retired U.S. Army Sergeant, who served in Kuwait during Operation: Desert Storm. Same “dead soul,” same “dying” story. SOUTH BEND — The reality of coming home was much different for many other vets. More than a quarter of a million of them now live without a home every year, and nearly one-third of all homeless Americans served in the armed forces at one time. In the South Bend area, estimates are even higher. One local group is fighting to turn the trend around. 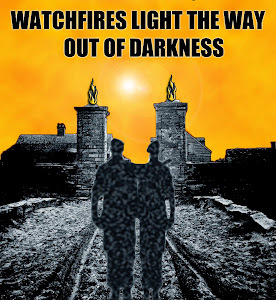 On a bitter cold and snowy February day, Danny Forrest is walking back to his former home to relive a nightmare. “I had four or five blankets, boots and a coat,” said Forrest. “And I stayed there and slept there. It’s emotional to even be back down here. I can remember crying myself to sleep at night, wondering ‘how did I end up here?'" The answer begins in 1948 when 23-year-old U.S Army Corporal Danny Forrest entered the military. Two tours in Panama and 10 years of honorable service later, he was discharged. He got a good job earning $18 an hour and bought a house. FORT WORTH -- A 23-year-old man killed Sunday in a traffic wreck has been identified as soldier from Fort Hood, authorities said Tuesday. The Tarrant County medical examiner’s office identified the victim as Elias Lopez, 23, of Chicago, Ill. who was pronounced dead at the scene. Lopez died from blunt force trauma after he was thrown out of his car, the medical examiner’s office reported. His death was ruled an accident. WASHINGTON, Feb. 23, 2010 – Funding programs to support soldiers and their families is the Army’s top priority in the new fiscal year, the service’s secretary and chief of staff told a Senate panel today. To sustain and improve that resilience, McHugh and Army Chief of Staff Gen. George W. Casey Jr. spoke for the need to improve soldiers’ “dwell time” at home between deployments, as well as Army family support and mental health programs. The Defense Department’s fiscal 2011 budget request includes $1.7 billion to fund what McHugh called “vital” family programs such as those to provide respite care and spousal employment, and to open some 50 child-care centers and seven youth centers. “We sign up the soldier, we re-sign up the family,” McHugh said. The U.S. death toll in Afghanistan has reached a grim milestone - 1,000 American troops have been killed since the war began nine years ago. And that number is expected to rise as the largest military offensive since the fall of the Taliban continues in Helmand province in southern Afghanistan. Twelve U.S. Marines have been killed in the province since Operation Together began on Feb. 13 in the Marjah district, according to the Pentagon. The offensive is expected to last several more weeks as 15,000 U.S., NATO and Afghan forces push out the Taliban in heavily mined, poppy fields. Deer Creek Middle School shooter mumbling "I'm fighting for freedom"
Freedom? Trying to kill kids? Taking away their sense of security? Terrorizing them? Making teachers and parents and neighbors frantically try to save lives? Is this what he meant by "fighting for freedom" or was he talking about being free from being a human with any kind of conscience? A parent who saw the incident told KMGH that the gunman kept mumbling, "I'm fighting for freedom. I'm fighting for freedom," as he was being subdued. (CNN) -- The man suspected of shooting two students at a Littleton, Colorado, middle school was identified as 32-year-old Bruco Strongeagle Eastwood, authorities said Wednesday. Eastwood was arrested after the incident Tuesday at Deer Creek Middle School and is scheduled to appear in court Wednesday morning, according to the Jefferson County Sheriff's Office. He is facing two counts of attempted first-degree murder, the sheriff's office said. He is accused of shooting two students as classes were letting out at 3:15 p.m. Tuesday. David Benke, a 6-foot-5 former college basketball player who is a math teacher and track coach, tackled the suspected gunman as he was preparing to fire again, CNN affiliate KMGH reported. Feb. 23--As a licensed professional counselor in Lillington, Molly VanDuser receives anywhere from one to six referrals a day for military families suffering from post-traumatic stress disorder. Substance abuse, nightmares and withdrawal are some of the symptoms facing troops as they rack up combat deployment after combat deployment. But PTSD can be cured, said VanDuser, who will speak at the seminar, "PTSD and the Military Family," at 7 p.m. Thursday in the Cumberland County Headquarters Library. GLENDALE, Ariz. - Authorities say two men were shot by security officers after they drove a stolen car through a gate at an Air Force base outside Phoenix during a police chase. ARLINGTON, Va. — The Defense Department informed Congress on Friday that the Navy will soon allow women to serve aboard submarines. In a move led by Navy Secretary Ray Mabus and Chief Naval Officer Adm. Gary Roughead, women for the first time could begin training to join submarine crews as early as next year. Defense Secretary Robert Gates formally notified Congress of the policy change in a letter on Friday, according to Pentagon press secretary Geoff Morrell. Congress has 30 days to respond. INDIANAPOLIS (AP/WISH/WTHI) - Residents of three Indiana communities are mourning the deaths of three Marines killed in Afghanistan whose bodies arrived back in the United States over the weekend. The deaths represent the state's most concentrated losses in that war since four Indiana National Guard soldiers died in a 2005 explosion. The military said Monday that 24-year-old Lance Cpl. Joshua Birchfield of LaPorte died Feb. 19 while supporting combat operations in Afghanistan's Helmand province but released no details on how he died. In northwestern Indiana, a sign reading "We Will Miss You Birch -- God Bless" hung outside the Blackhawk Inn in Westville, where Birchfield grew up. Medical examiners cite "blunt force head trauma"
Medical examiners say "blunt force head trauma" is what killed the 4-month-old son of a Marine stationed at MCAS Miramar. The cause of that injury, apparently suffered in the family's quarters on the base, is what San Diego homicide detectives are trying to determine. Andru Bixby died Thursday morning at Children's Hospital, about 14 hours after his 22-year-old father called 911 to report that Andru had stopped breathing. Andru's mother had been watching him and his 18-month-old brother before leaving for school when the father came home. That background presents a delicate and complex task for investigators, according to a local criminal defense lawyer not connected to the case. WINDOW ROCK, Ariz.—Military paperwork has delayed the release of the remains of a Marine from the Navajo Nation who was killed in Afghanistan. Marine officials say the remains of 23-year-old Lance Cpl. Alejandro J. Yazzie, of Rock Point, Ariz., likely will be released later this week from Dover Air Force Base in Delaware. Navajo Nation President Joe Shirley Jr. says he'll issue an official proclamation ordering flags on the reservation to be flown at half-staff in Yazzie's honor as soon as funeral arrangements are announced. The Defense Department says Yazzie died Feb. 16 while supporting combat operations in Helmand province, Afghanistan. That's the site of a major offensive by U.S. and Afghan forces against the Taliban. Yazzie was assigned to 1st Combat Engineer Battalion, 1st Marine Division, I Marine Expeditionary Force, Camp Pendleton, Calif. His coffin arrived at Dover last Thursday. Sgt. 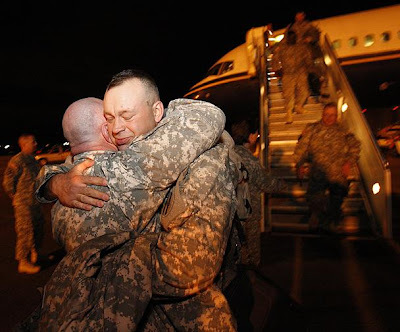 1st Class James Creager (left) Alpha Battery 118th Field Artillery, left, who was wounded in both legs by a insurgent wearing a police uniform, tearfully embraces Lt. Darren Droullard as the first flight home arrives at Hunter Army Airfield in Savannah. Creager promised his men he would be there to greet them when they returned home. Fort Stewart -- Soldiers from Georgia’s 48th Brigade Combat Team returned to a hero’s welcome here early Tuesday morning after spending a year in Afghanistan training that country’s police and security forces. More than 70 Georgia National Guard soldiers emerged from several buses, formed ranks on Cottrell Field and listened patiently as the military played recordings of the National Anthem and the Army Song. After a short speech from Brig Gen. Maria Britt, commander of Georgia’s Army National Guard, the soldiers were released to their loved ones. Cheering and crying with excitement, scores of wives, mothers, fathers and children rushed across the field to the soldiers. Kimberly Smith, of Covington, was among them, scrambling up to her husband, Sgt. Argo Smith. The title of this post should be along the lines of when supporting them is real because this is exactly what it is. 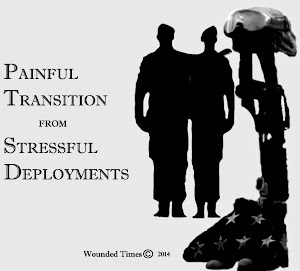 We can talk all we want about supporting them but if we just wait for the VA or the DOD to do it all, they are the ones suffering for it. A while ago I had a conversation with a man claiming the "phony PTSD claims" were 50% and that the VA would take care of the legitimate ones. While we know that only a fraction of our veterans seek help for PTSD, that there is no where near enough being done, this man thought they were the problem of the VA and not citizens. He is clearly missing the point that it is the citizens funding service organizations and these organizations exist because the government is not meeting the need. We can fight all we want to have the VA change but this takes years to do. When a budget is presented, it takes a long time for the funding to be voted on and then even longer for it to work into the system. Yet when people step up, they can write a check and get it done a lot faster. They shouldn't have to do it but because they care, they do and a veteran no longer has to ask himself/herself if anyone cares. They risk their lives for the entire nation, doing what we ask of them and what few others are willing to do. The least we can do is to answer the call to help them. An "army" is showing up to help this veteran and it happened after a radio station made his need public. Bless the radio station for making this public and Homes for Our Troops for all the work they are doing to live up to the words "a grateful nation" but also be aware of the thousands of other stories you will never hear about. Frank Pierson recalls the moment clearly: One day in March 2008, he was in Baghdad, behind the wheel of a truck that was part of an Army convoy. "We were driving past a checkpoint, and a big puff of smoke came up — we didn't even know we were being ambushed," the Cicero resident says. "When we drove out of the smoke, I went to stop the truck and didn't know why I couldn't stop it. "I looked down and noticed my right leg was completely gone and part of my left leg was severely injured." The "big puff of smoke" had been caused by an electronically fired projectile. What followed were 27 surgeries and 19 months of rehab in Germany and at Walter Reed Army Medical Center. Today, minus his legs and dealing with other injuries from the blast, he lives with his wife, Arielle Carroll-Pierson, at her mother's home in Cicero. It's home, but it's not easy. Even though the family has adapted the house to his needs somewhat, there are huge physical inconveniences. The only bedroom in the home that's vaguely accessible to him, for instance, is in the basement, and to reach it, Pierson climbs out of his wheelchair and scoots down the stairs and gets into another chair. It will be a contribution from Homes for Our Troops, a Taunton, Mass., charity that since 2004 has built 51 houses for disabled veterans and has 32 others in various stages of construction around the country, at an average cost of $250,000 to $300,000, plus the cost of land. The organization, which aids military veterans who have been severely injured while serving in a combat zone after Sept. 11, 2001, receives funding from corporate sponsorships and private donations, according to Vicki Thomas, a spokesman for the group. But the projects depend on labor donated by contractors and skilled workers and from donated materials, she said. There are ways for friends, neighbors and total strangers to help too. 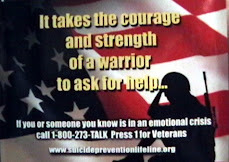 Homes for Our Troops got the word out recently on a Chicago radio station that it needed help for the Piersons' house. It will be the group's first effort in the Chicago area, though it recently completed a home for another veteran in Mahomet, Ill., near Champaign. Though the organization is used to fielding an outpouring of support in the communities where the organization is building homes, Thomas said she was surprised at the immediate response from Chicago after the radio plea for help, when 548 individuals and companies responded. (Feb. 22) -- The daughter of Joseph Stack, who flew a small plane into a federal building in Austin to protest the IRS on Thursday, answered "Yes" on "Good Morning America" when asked if her father was a hero, saying "now maybe people will listen." Samantha Bell, Stack's 38-year-old daughter from his first marriage, told "Good Morning America" that her father's suicide mission was "wrong" but said she agrees with his anti-government message. "I think too many people lay around and wait for things to happen, but if nobody comes out and speaks up on behalf of injustice then nothing will ever be accomplished," Bell said. Before he allegedly set his house on fire, loaded his small airplane with an extra gas tank and flew it into a building that housed IRS offices, killing IRS employee Vernon Hunter and himself, Stack posted a ranting anti-government manifesto online. "The father I knew was a loving, caring, devoted man who cherished every moment with me and my three children, his grandchildren," she said. "This man who did this was not my father." An Ohio lawmaker who has been blocked four times in his efforts to pass legislation to protect deployed service members from losing custody of their children has launched a new two-pronged effort to try to get his proposal into law. Republican Rep. Michael Turner will try once again to attach to the annual defense policy bill provisions designed to prevent courts from denying child custody to service members while they are deployed. Turner hopes a promised meeting with Defense Secretary Robert Gates will result in objections to his legislation being dropped. As a backup plan, Turner also has introduced a separate bill, HR 4469, that falls under the jurisdiction of the House and Senate veterans’ affairs committees. This gives him another avenue if he cannot overcome objections from the Defense Department and Senate Armed Services Committee, which have been the roadblocks to date for his legislation. Turner’s bill has been referred to the House veterans’ affairs subcommittee on economic opportunity, which plans to include it among other bills discussed at hearings this year. His new bill would protect existing child custody orders for troops deployed in support of contingency operations, which is a more limited approach than some of his previous attempts. JOINT BASE BALAD, Iraq — It was during World War I that an injured soldier was first evacuated by air, in a “Jenny” biplane modified to allow a single stretcher in place of the rear cockpit. And for nearly a century afterward, air evacuations of the badly injured out of the combat zone were the exception, not the norm. Now, troops wounded in Iraq and Afghanistan are routinely flown to hospitals in the United States within three days. Some burn patients make it back within 24 hours, said Col. James King, the Critical Care Air Transport, or CCAT, theater medical director. Troops are treated at the front lines and then shuttled by helicopter to nearby combat support hospitals for life-saving surgeries, often within a critical one-hour window. The surgeons perform the minimum amount of operations to stabilize the patients, and then they are flown to hospitals in the U.S. or Germany, where they can receive more specialized care. The church I attended back home in Massachusetts had a Greek Orthodox priest comfortable in working at the church functions with sleeves rolled up, running around serving others food and chatting over a couple of drinks with a cigarette in hand. He was my favorite priest. When appropriate, he would wear the vestments, prim and proper, but then he always managed to show exactly how human he was the rest of the time. He was easy to talk to because we knew he would understand. 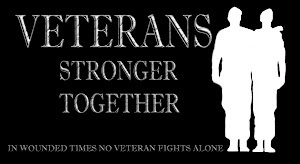 While I've managed somehow to walk the walk and talk the talk helping veterans, they understand I am not one of them. I was adopted into all of this from birth and by marriage. They also know that there was not one day of my life when I had perfect faith. I still don't even though I'm a chaplain now. The most important message they get from me is that they don't have to be perfect or have faith that is absolute. We have Chaplains working with police officers, firefighters, emergency responders just as we have some working with the homeless, bikers, prisoners and every other walk of life you can think about. We all come called from the lives we have to serve others needing help getting thru their lives because we've walked in their shoes. We understand. 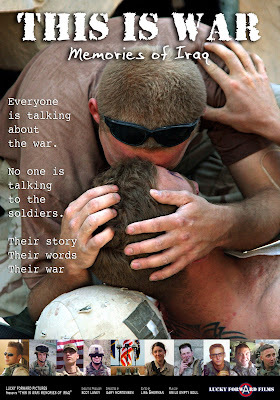 Think of being a soldier in Afghanistan needing spiritual help but finding the person they are supposed to talk to has never once stepped into human life with all the struggles and decisions everyone else seems to make. Never drank? Never smoked? Never used vulgar language? How are they supposed to understand what it's like for the soldiers? How are the soldiers supposed to be able to go and talk to someone with a "perfect life" when their own life is falling apart? 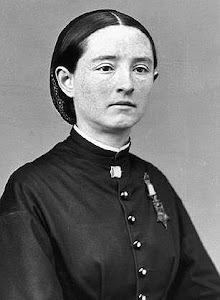 Well here's a story about my kind of Chaplain. He drinks, smokes and while he apparently takes his faith very seriously, he has it in perspective the same way Christ did. This may not be the kind of "spiritual" leader a polite church would want but he is the type they need. Driven Life" and others in a dynamic conversation about faith and its impact on the world. BADULA QULP, Afghanistan -- The U.S. Army brigade's Catholic priest spits, smokes, cracks jokes and has come under fire like so many other American soldiers. He keeps altar bread in an empty grenade canister. On Sunday, he donned purple and white vestments over his uniform and celebrated Mass on a makeshift altar of four stacked boxes of MREs. Capt. Carl Subler stood in the dust at an earthen-walled compound and prayed for the safety of those assembled, half a dozen soldiers who are fighting the Taliban near the contested town of Marjah in southern Afghanistan. He also prayed for peace in a country that has known war for decades. The men kneeled in their faded uniforms and some took communion, a reflective moment in a time of war. "I find that my prayer life kind of suffers when I'm back home. I can pop a top on a cold one and watch TV," said Subler of Versailles, Ohio. "I find the more creature comforts are taken away from us, in many ways, we look to God with even more hope." A busy Subler gave Mass on Sunday in three patrol bases - "Keep it rolling, baby," he said - in the Badula Qulp region of Helmand province, where the Army is supporting a Marine offensive against an insurgent stronghold. He is the only Catholic chaplain in the 5th Stryker Brigade, which has lent 400 soldiers to a mission that has waged daily firefights as forces push the Taliban out of villages. "When you're separate from your families, sometimes you feel powerless to do anything when they're in trouble," Subler said during the service. "When you're over here, you kind of feel helpless."